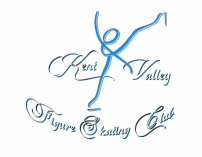 We are planning the next adult skater potluck for Kent Valley at the Romingers' house on Sunday, April 3 at 4pm. Please let us know if you can make it, and please pass this invitation along to any other adult skater you know. We are not concerned about club membership, blade type (figure vs. hockey), or even preferred sheet of ice. We just want the rarified breed of adult skaters to have an opportunity to get together off the ice, enjoy good company, and get to know one another. We will have basic soft drinks and wine and beer. Just bring a dish and come enjoy!! Our home is in Redondo - use 272nd, Redondo Way or 1st Avenue to enter Redondo. Park in our driveway or nearby along the streets (Sound View and 6th Place have on street parking).